Your wedding bliss is just a call away! Deep Creek Lake, located in the lush mountains of Garrett County, is quickly becoming known as a true wedding destination. With the sparkling lake and majestic beauty that Mother Nature provides, it leaves you with a breathtaking backdrop for your special day. 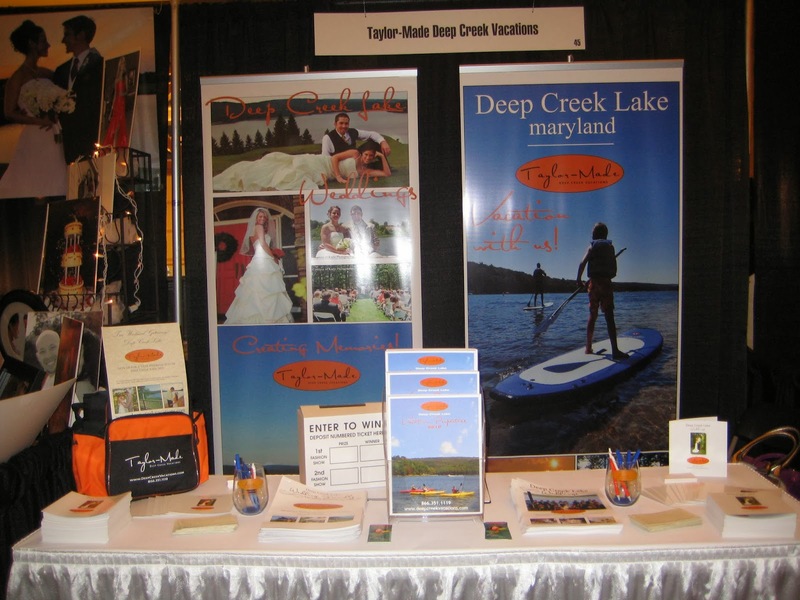 Taylor-Made Deep Creek Vacations is more than willing to help you find your dream vacation home and to help you plan your big day. Amanda, our primary event coordinator, took over this position full time earlier this year and is always more than willing to meet with a prospective wedding party to assess their desires for their wedding day. She understands how difficult it can be to plan a destination wedding and will therefore help recommend special vendors for the big event, whether this is finding a caterer, DJ, tents, or more. She is also trained to know all county regulations such as how many guests a certain house can host, how to arrange for parking to and from the event, or to even help obtain the marriage application itself. Essentially she is there to take the stress off the newlyweds and to help in any way that she can. Megan & Amanda~ Our Event Coordinating Team! Need information? Stop by our booth at our next bridal show. Our wedding venue continues to successfully grow and as to date, Taylor-Made has happily hosted over 16 weddings this year alone. 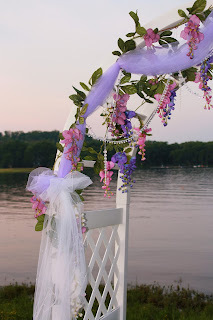 We owe part of that success to Amanda and our Event Coordinating party, who continue to reach out and stay on top of all the latest trends, vendors, and regulations that are imperative in having a memorable Deep Creek wedding. Amanda has already attended several bridal shows this year (even traveling as far as Fairfax, VA) and has at least 2 more on the schedule for winter 2014; one located in Pittsburgh and one in Baltimore. 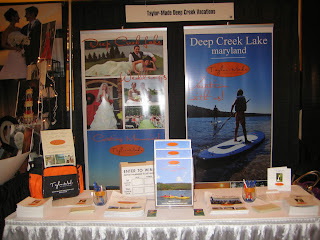 You deserve a fairytale wedding and Taylor-Made Deep Creek Vacations is ready to help make your dream day come true. Call today to speak to our Event Coordinating team (1-866-351-1119 or go online www.deeepcreekvacations.com) and begin the process of creating a memorable mountain wedding! In the meantime, we can’t wait to see you at the lake!